Authorities in landlocked Swaziland are serious about building a channel to the Indian Ocean, the latest in the 21st century’s epic round of global canal construction. Swaziland is looking at spending $216m building an inland port and a 70 km channel through to southern Mozambique. The kingdom’s Minister of Commerce, Industry, and Trade Gideon Dlamini said this weekend the plan was for real and would offer alternatives to Maputo and Durban ports, both of which have draft restrictions. “The problem with the Maputo and Durban ports is their shallowness. These two ports are not deep enough to handle heavy ships and we have received reports that there are ships that face difficulty docking in these ports because they are not deep enough,” he said. “The proposal for our seaport shows that it will be very deep and this would enable bigger ships that cannot dock in both Maputo and Durban to come here. The seaport that we will have will be of first world status and will have better facilities compared to Maputo and Durban. The deeper the seaport the better, and ours will be better than Maputo and Durban,” Dlamini said. The selected route of the 15 m deep canal however has already drawn the ire of environmentalists, as it traverses through two game parks. However, the real stumbling block lies with Swaziland’s neighbour, Mozambique, where two thirds of the length of the proposed canal would pass through. Early indications from Mozambique are that the country is unwilling to give the project the greenlight, intent instead on developing Maputo port. The engineering involved in such a waterway would be dramatic – the proposed inland port is some 275 m above sea level. Both the Suez and Panama canals have undergone dramatic expansion in recent years while a centuries-old plan to develop the Kra Canal through southern Thailand has recently been back in the headlines. Trade between sovereign nation states based on international law first seen in the Treaty of Westphalia will enable adoptions of shared common goals which we are told is way to ensure cooperation and a world without war. Progress is being made on many canals, deep water ports, high speed railways and even projects for managing continental water resources. Thank you for your article in support of a canal for Swaziland. With BRICS many dreams will be realized as in May 26, 2015 issue article in Executive Intelligence Review (EIRNS). General Prayut Chan-Ocha, the Prime Minister in the military government in Thailand, has for the first time spoken out on the issue of the Kra Canal—the canal which would connect the Pacific with the Indian Oceans and transform the Indian-Pacific Basin. Long supported by Lyndon LaRouche, leading industrial interests in Japan, and now backed by leading industrial interests in China, Gen. Prayut has until now been silent on the Canal, despite his aggressive promotion of major infrastructure development projects in rail and water with China, Japan, Korea, and others. But reports from EIR friends in Thailand indicate that Gen. Prayut has responded to the extensive international discussion of the canal over the past weeks, since private interests from Thailand and China signed an agreement in Guangzhou on May 15 to promote a full feasibility study. Prayut is reported to have called the Kra Canal a very useful project with lots of benefit to the country. He reviewed the problems often used by opponents to the canal (generally reflecting British and Singapore geopolitical issues rather than real problems) which have to be considered: that the majority Muslim South not be “separated” from the rest of Thailand, that the insurgency by radical and terrorist Islamic networks be resolved, and that the project be financially sound. The fact is, as presented in EIR as well as in the report prepared by Pakdee Tanapura for the Thai National Committee for the Study of the Kra Canal, the canal would be a major part of any solution for these problems, providing economic activity for the population while turning the region into a major hub for the development of all of Asia. While there is still opposition within Thailand, the potential for implementing the huge project (estimated to take ten years at a cost of $28 billion) is now better than ever, if Prayut chooses to act on the window of opportunity while he has full power, with elections and a return to democracy expected sometime next year. With the AIIB coming into being, and China’s $20 billion Maritime Silk Road fund as well as Japanese and other private and public interest, the Kra Canal is a perfect target for projects of benefit to all the nations of Asia. 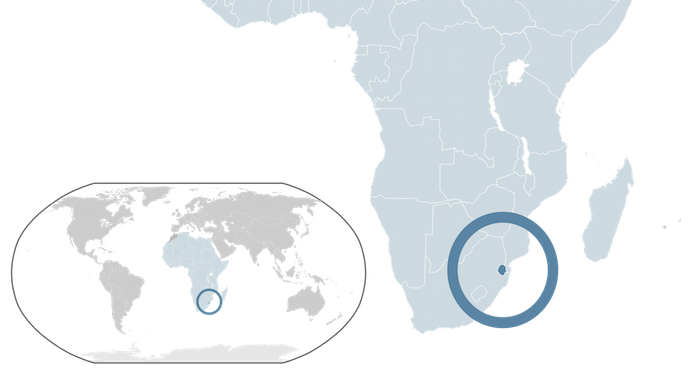 I look forward to more reports regarding Swaziland’s link to the Indian Ocean.